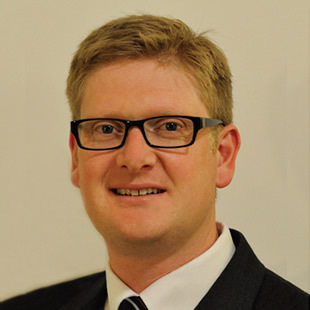 Mr Camdon Fary, based in East Melbourne, is an orthopaedic surgeon with a focus on knee and hip surgery. In 2009, Cam undertook advanced training for 1 year in Lyon, France under Professor Philippe Neyret and Mr Tarik Ait Si Selmi, specialising in advanced knee and hip joint replacement, patella-femoral disorders and sports surgery. Cam continued his subspecialty training in joint replacement and arthroscopy spending a further year at the Nuffield Orthopaedic Centre, Oxford, UK under Professor Andrew Price and Mr Peter McLardy Smith. Following Cam's return to Australia in 2011, he continued his fellowship training with Mr John O'Donnell in hip arthroscopy and anterior muscle sparing hip replacement. Cam has a keen interest in clinical research and has presented and published locally and internationally. He is a member of the Australian Institute for Musculoskeletal Science. He is a collaborator with University of Melbourne's Bio21 Molecular Science & Biotechnology Institute, St Vincents Institute, and Botnar Research Centre, University of Oxford researching treatments for osteoarthritis. He is a reviewer for the Clinical Orthopaedics and Related Research Journal. He is closely involved with Orthopaedic registrar training through his appointment with Western Health. In his free-time he enjoys playing tennis, travelling, indulging in good food and wine and enjoying family time with his wife and three young children.